No one forgets a Chanel runway experience in Paris, much less one where most of the Grand Palais, a huge exhibition space in the heart of the city (that’s also home to Chanel’s RTW presentations) is transformed in the hands of Karl Lagerfeld. There was a huge ice glacier one season, a giant spinning globe in another, and they even turned the Grand Palais into the chicest Chanel supermarket yet complete with aisle upon aisle of Chanel-branded groceries for the F/W14 season. 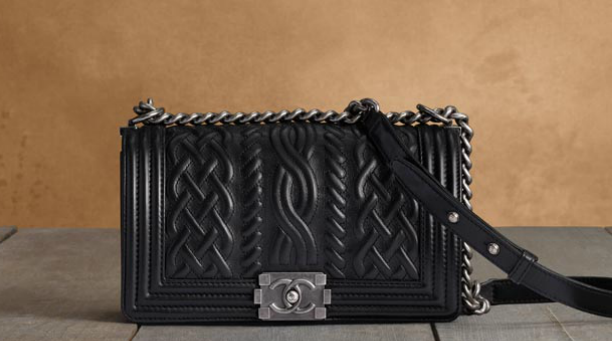 Another Chanel boy bag is making its waves for the upcoming and most awaited Fall/Winter 2016 Collection. 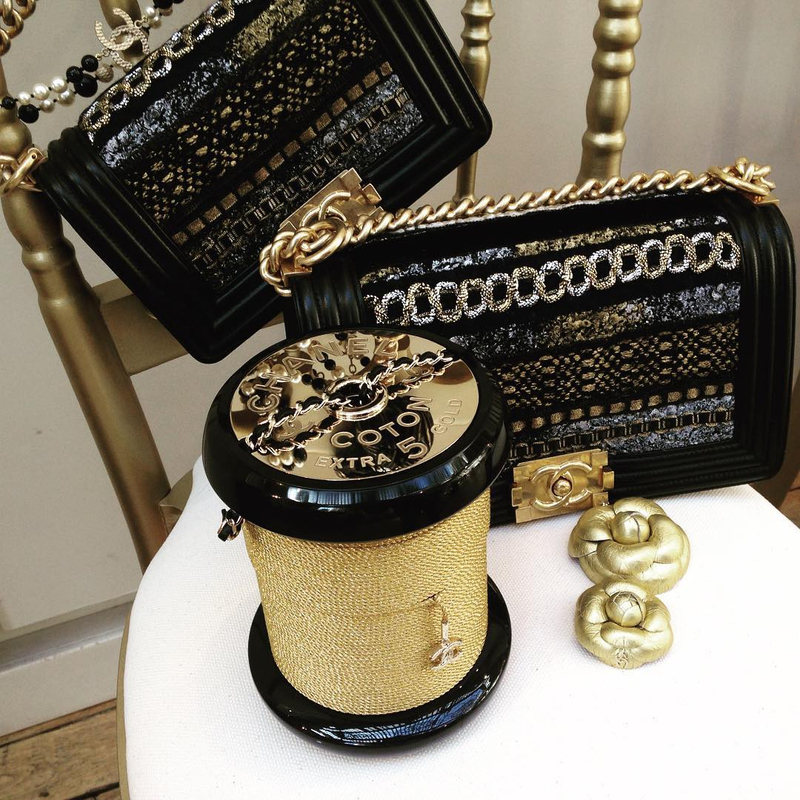 For gold lovers out there, you might fall in love with this Chanel luxury bag price Embroidered Boy Flap Bag that looks stunning and elegant in all the right angles. The embroidered effect adds the right amount of fancy and personality to it. We are still loving the black leather while the golden-like chain straps are a feast to our eyes. The CC logo in golden tone is also a sight to behold! While the embroidered patterns give it a polished, glossy look without overdoing it. This newest Chanel Boy bag is perfect for glam nights paired with your high-pointed stilettos, body con dress and your loveliest jewelries. The bag literally glitters and the design is something never-seen-before. The investment is certainly worth it – refined in golden hardware, crafted from high quality leather (by the way, we think the color black is the perfect choice because that will only enhance the glitter-effect), beautified with the Boy Clasp. Who is in for this new boy?